#Office365Challenge Oh here’s a good one that I’ve NEVER used before. 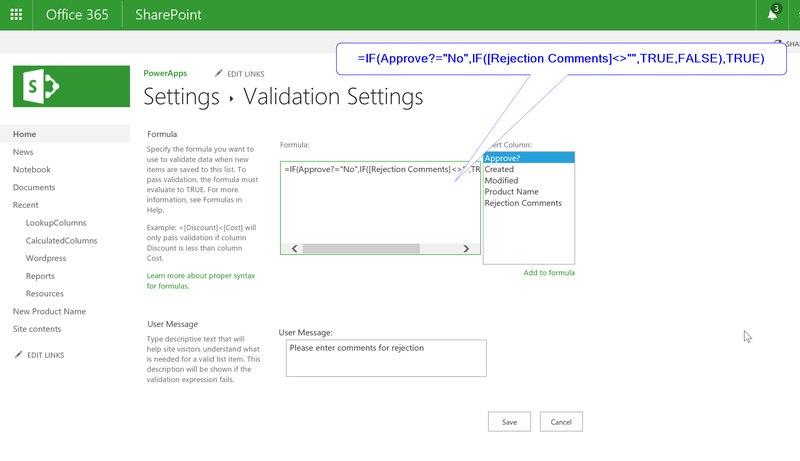 The ability to set validations on columns in SharePoint – OTB. Thanks to Esaie Mpoyi for reminding me of this! In this example I have a column for Approve – Yes / No. If No is chosen the user should be forced to complete the comments. Here’s my list, even though the Rejection Comments column is not compulsory – the fields will be completed when necessary.